Orange Kenya has signed a new deal to sell its 70 percent stake to Telkom Kenya as it sits the kenyan market. The new deal was signed on monday with a private equity investment firm Helios which is based in South Africa. And although the deal has been signed The finalisation of the binding agreement depends on approval by relevant authorities since the company is said to have a KES 1.5 billion debt that it must clear first, according to the Communications Authority of Kenya. The debt comprises of of accrued operating and frequency fees for the financial year 2014-2015 which the company said its still negotiating o how it will be paid. Almost a year ago, the company had embarked on a new project to expand its 3G services to a few parts of the country which could have exposed the firm to new debts. According to a Standard Investment Bank research analyst Faith Mwangi, the company had struggled financially in recent years and many saw this coming. 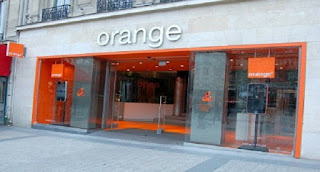 All the Orange subscribers as of june will now be transferred to Telcom. Orange Kenya and Airtel had accused Safaricom of unfair competition and dominance in the sector, but the CAK dismissed the claim which has left many wondering if safaricom is untouchable.